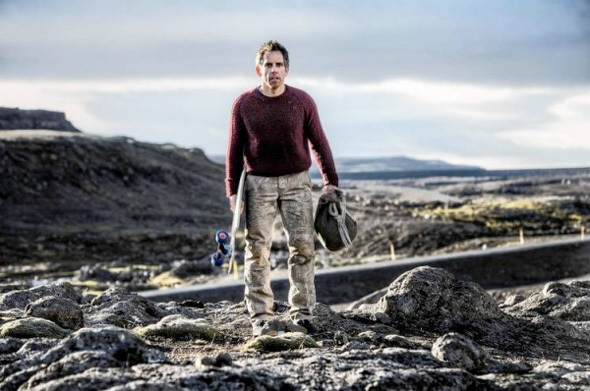 Ben Stiller directs, produces and stars in The Secret Life of Walter Mitty, a new adaptation of James Thurber's classic short story with a script from Steve Conrad (The Pursuit of Happyness). Stiller plays a timid magazine photo manager who daydreams of exciting adventures, only to get into an adventure of his own when he goes in search of a missing photo negative with Kristen Wiig, Patton Oswalt, Adam Scott, Kathryn Hahn and Sean Penn also starring. The film will hit theaters everywhere December 25th, 2013. Sean Penn = no watch. Tru dat. Not near the comedic talent his father is. This sounds nothing like the short story, I'm curious and hesitant to see how this turns out. Honestly, I'm just hoping that on the Blu ray release they also include the original movie with Danny Kaye. Much the same as the disappointing "The Day the Earth Stood Stlil" remake did.